Electric Bear Tap Take Over! 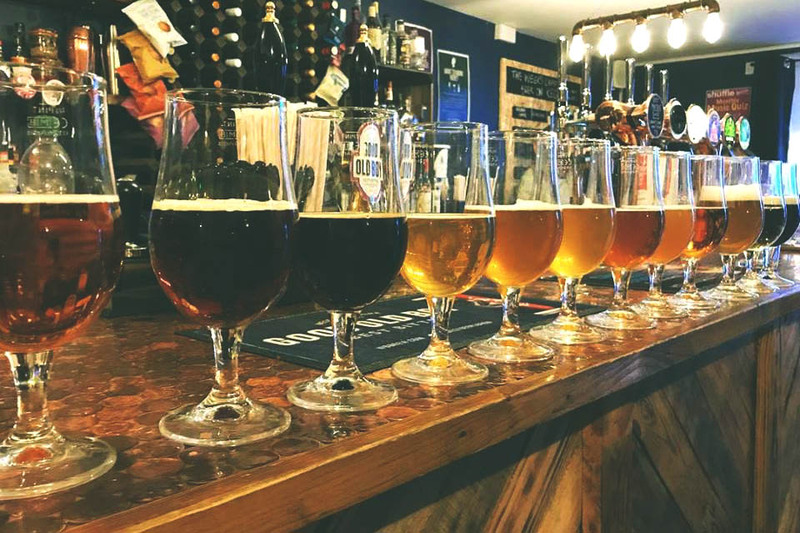 Ace Bath Brewery Electric Bear are turning up with a bunch of cracking brews to take over the bar for one night. More info here. It's Thursday 19th April and the sun is shining (not that that has any bearing on this) which means it is Live Music time again here at The Tuppenny. This week we are delighted to be able to present the folk-pop-tastic Phil Cooper and our very own team member Sarah C Ryan! April 12th features a rather cool little show that has come together as something of a surprise. After both originally billed acts pulled out, it was a a rather pleasing set of circumstances that led to this line up pulling together suddenly. Thursday 22nd February's live session features the drone rock and live composition of Stereocilia. Live Music returns for the first time in 2018 tonight, Thursday 15th February in the fine form of Lewis Clark and local musician Nick Felix. Entry is free but artist tips are welcome. Music commences around 8.30pm. Live Music Session #19 – Christmas with Slim Ditty! We get fully festive on Thursday 21st December as ace crooner, comedian and entertainer Slim Ditty and co descend on us this yuletide for a fantastically festive sing-along!